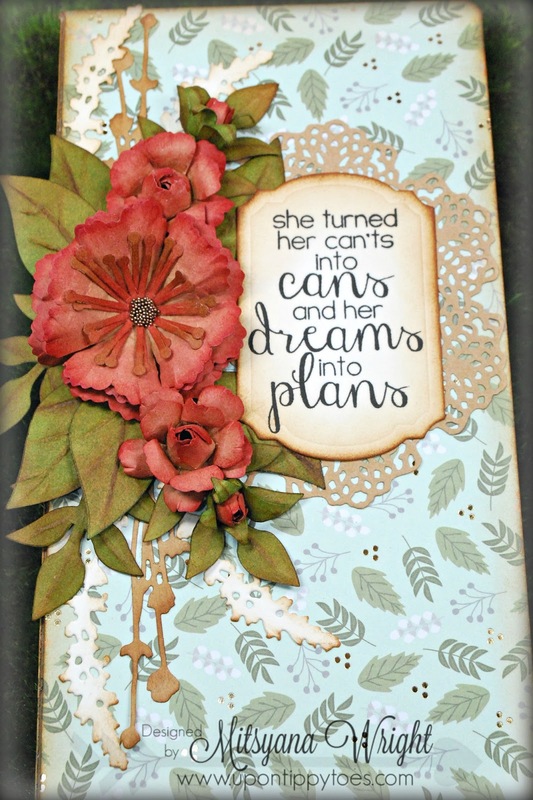 I'm back with Eileen Hull Designs with another journal project! Now, it's no secret that I've been bitten by the journal making bug. 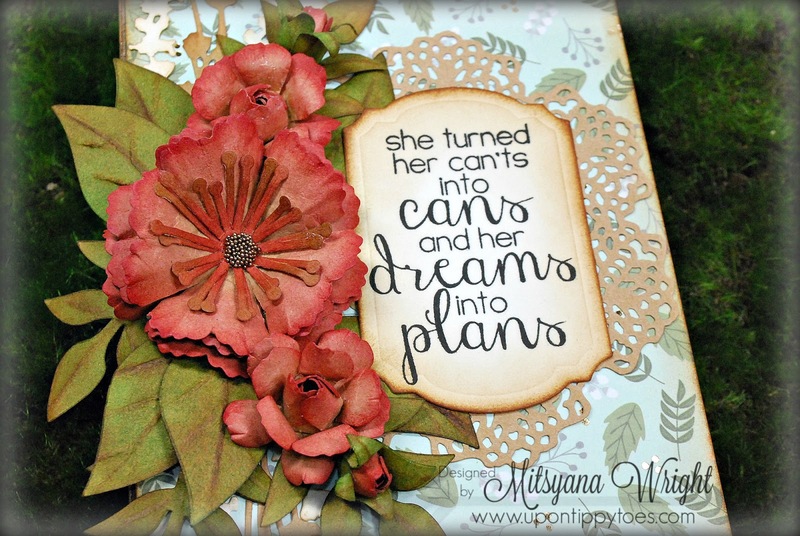 And today I wanted to share with you all this gorgeous flower covered journal using Eileen's Stitchy Flowers & Leaf Dies, Spring Leaves, & of course... Eileen's Heartfelt Journal die! 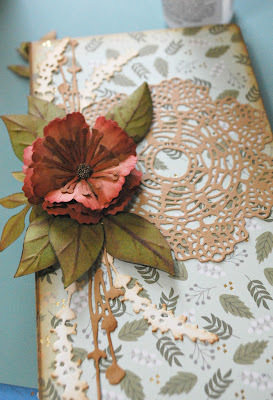 One of the reasons I love making these journals so much is that they are so easy to put together! Just cut your 12"x 12" cardstock and Chipboard in half to make 6" x 12" pieces. I used 1- 12" sheet of chipboard and 2 - 12" sheets of patterned paper. Once sheets are cut in half, I ran the pieces of patterned paper through the Xyron Creative Station (pattern side up). Then, I attached them to the chipboard pieces. 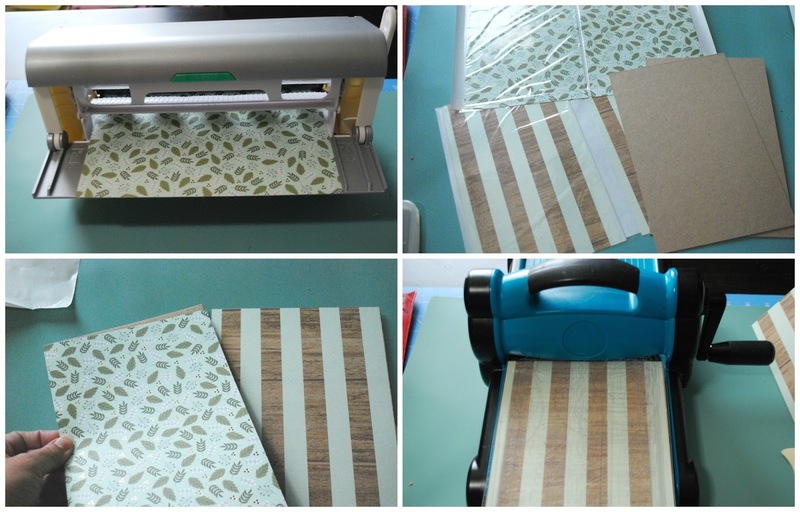 Each piece of chipboard had patterned paper of both side (back and front) with a different pattern on each side. 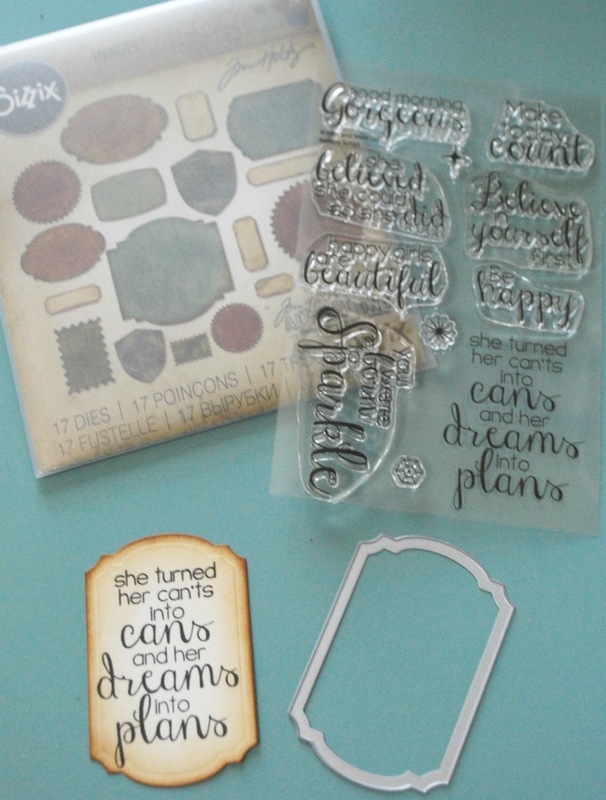 Then, I used the journal die to die cut both pieces of covered chipboard. I made sure that the pattern I wanted on the outside was face down on the die. I used mixed media glue to attach the spines together, making sure to line up the pre-cut holes. Then set it aside to dry. 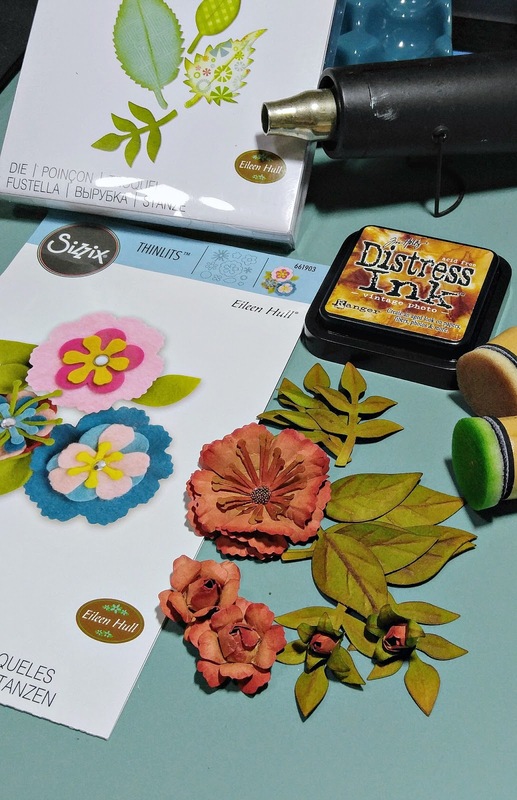 While the glue was drying, I die cut several flowers from the Stitchy Flowers & Leaf dies from Kraft cardstock. To make the large flower, I used 3 large flower die-cuts & 2 stamen/ starburst die-cuts. For the medium sized roses, I used 2 medium in each. and for the rosebuds, I used 1 small flower and a leafy stem for each. I die cut a total of 6 large leaves and 7 leafy stems. 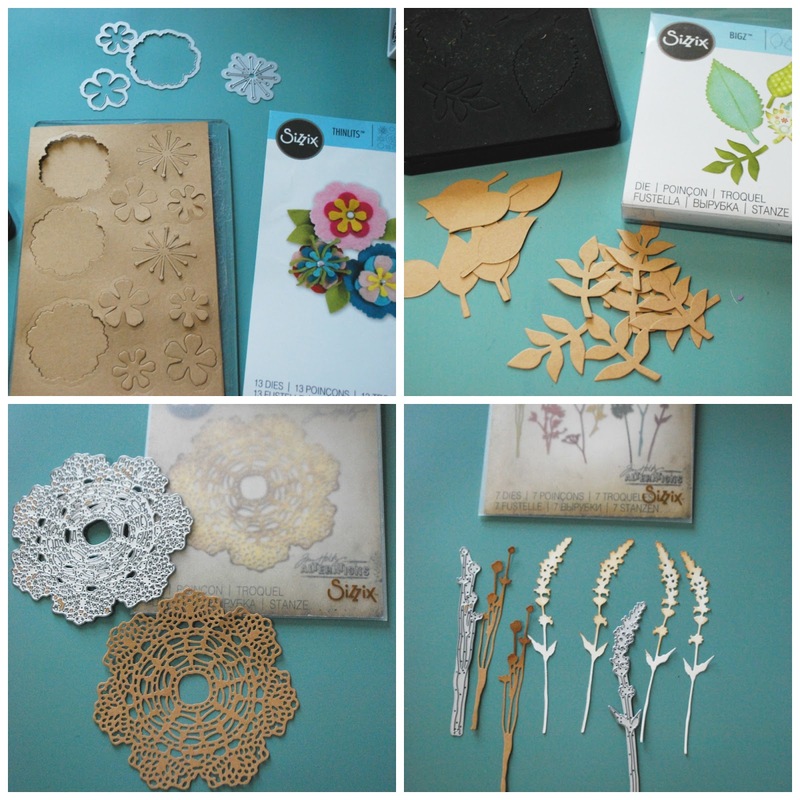 I also die cut a doily and a couple of wildflowers from more Kraft cardstock and more wildflowers from White cardstock. Then lightly inked the edges using Vintage Photo Distress ink. For color, I shaded all the flowers with Worn Lipstick Distress ink and all the leaves with Mowed Lawn Distress then with Vintage Photo. I added micro beads to the center of my large flower. I die-cut label from the Tim Holtz Labels die, inked the edges with Vintage Photo Distress ink, then stamped a sentiment from the Pink and Main Beliee Script stamp set. 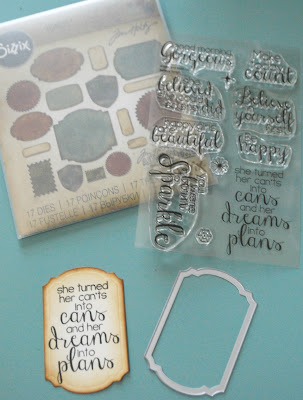 I attached all my die cuts onto the cover using more mixed media glue. I really love this sentiment! I think it's very empowering and great state of mind to keep one's self in! 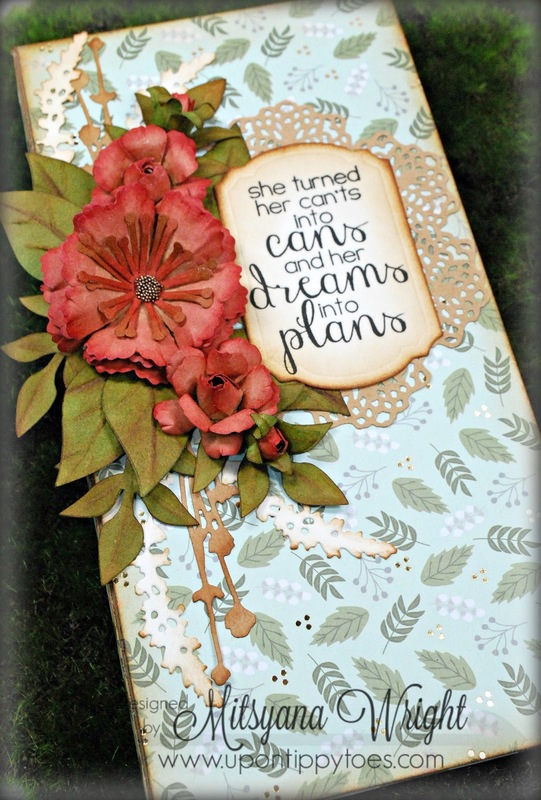 I hope you enjoyed this journal idea and that inspires you to make one of your own! Simply beautiful! 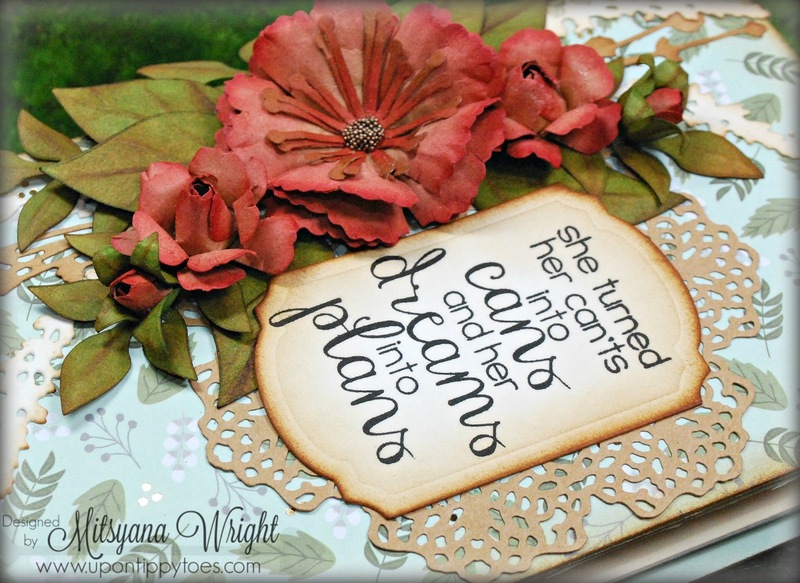 Love that quote and those flowers!! Thank you so much, Jean!! **HUGS** Hope you have a wonderfully crafty day! Just beautiful Mitsyana- I always love the colors and papers you use- great minds :-) Those flowers are just amazing!